Naturally infused with Chilli our Cotswold Gold infusions are available in 3 sizes. Our Chilli infusion gives warmth to a dish without being overpowering. 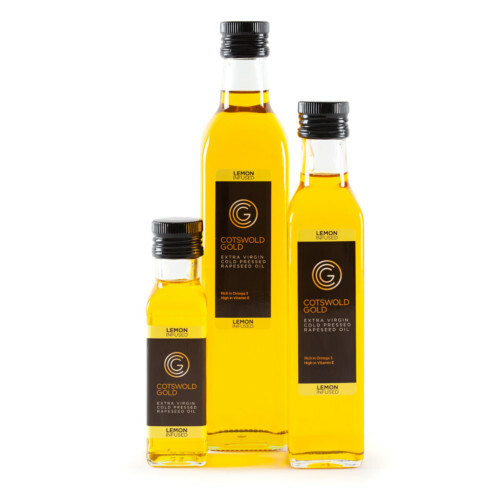 Cotswold Gold Rapeseed Oil Infusions – Chilli has an initial subtle peppery flavour. Once cooked the taste then evolves into a slightly sweet, spicy flavour. Our Chilli infusion can be used in a variety of ways. We hope you enjoy! Chilli often used to add depth to dishes. The flavour being an essential part of Asian, African & American cuisines. Our Chilli infusion gives warmth to a dish without overpowering or interfering with flavours. Delicious when added to pasta, stir fries, dressings, curries and noodles. It pairs beautifully with herbs such as basil, coriander, parsley, garlic, mint, oregano, rosemary, lemongrass and thyme. Cotswold Gold Chilli Oil also makes a great base for homemade marinades. Chilli oil is perfect to give as a homemade edible present and adds a bit to any dish!